In Balochistan, local and national newspapers’ distribution has remained suspended for the consecutive two days after the banned militant organizations threatened journalists, imposing a ban on delivery. The newspapers hawkers and news agencies responsible for the distribution of copies have come under increasing attacks in the last two 24 hours. The newspapers are being printed but people’s access to information has been stifled due to lack of distribution throughout the province. 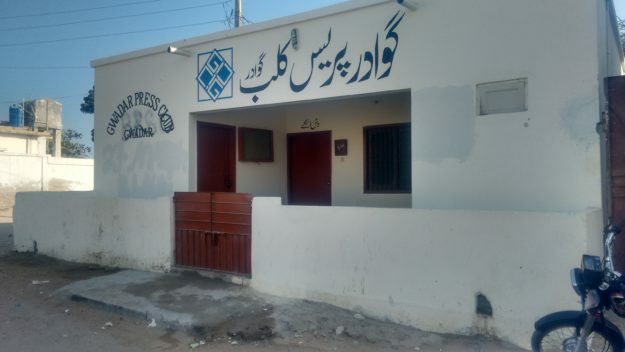 According to the reports, on Thursday afternoon a newspaper shop in Turbat has come under attack after the grenade attack on Hub Press Club on Wednesday night. 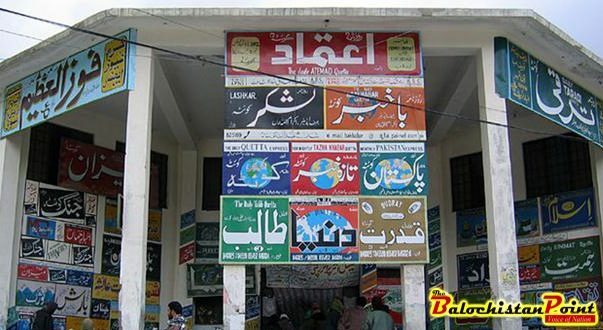 The Pak News Agency’s office was targeted by a grenade as the agency continued to release the newspapers disregarding the banned outfits’ boycott. Due to intermittent access to the internet in most parts of Balochistan, local newspapers are the only access to regional news. These newspapers include Intikhab, Eagle, Jasarat, Anjaam, Rehber, Bolan, Jang and Dawn which are dispatched from Karachi and Quetta to different areas of Balochistan. 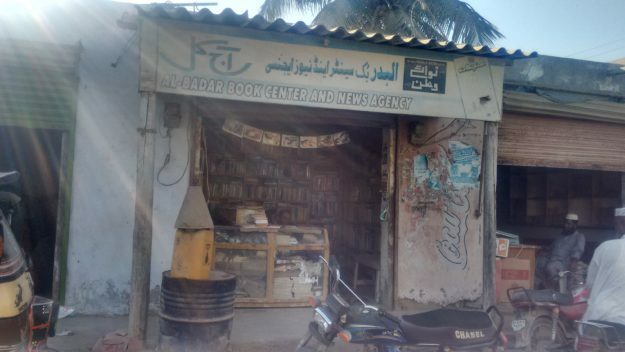 Like other parts of Balochistan, there was no newspaper copy available at this news agency in Gwadar market. Last week, the local media had received pamphlets from the militant outfits, warning them for ignoring their viewpoint. Expressing reservations on media coverage, it said, “The media is silent on ongoing military operation in Balochistan whereas our viewpoint has not been presented in the media for the past five months.”The militants had issued the deadline of October 24, asking the press to shut down the delivery of newspapers after which the supply was stopped in almost all cities of Balochistan, including Quetta and Gawadar. Hawker’s Association has also refused to distribute the newspapers after the attacks on the news agencies. “We are not in favor of coverage boycott of any organization but there is state’s pressure on the media,” Nargis Baloch told PakVoices. Gwadar Press Club remained shut down today due to fear of militant’s attack. Alyas Khumbo, the president of the Hub Press Club and the chief editor of The Daily Bolan, speaking to PakVoices said, “A large number of journalists were present at the Hub Press Club when its back door was attacked by a grenade.” No one was injured in the attack. “The journalists of Balochistan have been neutral in reporting but the press clubs and journalists and newspapers have been made a scapegoat in a conflict between the militants and the state,” Bahram Baloch added. “In other cities of Balochistan, fear has grown among journalists and the Gawadar Press Club has limited its activities,” says Bahram. The post was originally written for Pak Voices. It is republished in The Balochistan Point under a content-sharing partnership.